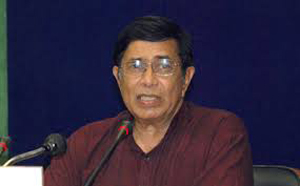 Brahmavar, Nov 30, 2015: Speaking at the inaugural at a convention organised by the District Congress Committee, Rajya Sabha Member Oscar Fernandes said gram panchayats should act as catalysts between the government and the people at the grassroots level. He said the administrative mechanism will be more effective if the style of functioning is strong at the grassroots level. The country’s progress is possible only when initiatives are taken to the ground and elementary levels. The gram panchayat is the window through which the development measures can be easily screened and delivered, he observed. It is up to the party workers to decide the model for gram panchayat which ensures effective implementation of the government’s policies and programmes. The Congress rule has resulted in strengthening the three-tier local governance and ensuring financial stability to the local bodies, he said. GP elections : Fernandes said the gram panchayat elections were irregular earlier. Former prime minister Rajiv Gandhi formulated the rules that paved way for mandatory polls for the lowest rung of the three-tier rural governance. He directed the party workers to take various welfare programmes, introduced by the government, to the people. He went on to say women would effectively deliver in politics. They have 50 per cent reservation in the gram panchayat election. They can also contest under General category apart from the reservation category.The democracy will be secure only through empowerment of women, he said. The MP said the women will play a major role in politics at fundamental level in the days to come. Women bring in many changes adding transparency and commitments to the administrative work.